Zbigniew Bujarski is a composer and composition teacher. He studied composition at the State College of Music in Kraków under Stanisław Wiechowicz. In 1961 he received a honorary mention at the Young Polish Composers’ Competition organized by the Polish Composers’ Union and in 1964 he won the 2nd Prize at the Grzegorz Fitelberg Composers’ Competition. 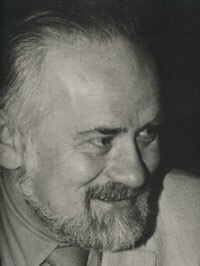 Bujarski’s 1967 composition Contraria received a honorary mention at the UNESCO International Composers’ Rostrum in Paris and in 1978 his Musica domestica won the 2nd Prize there. He was awarded the Prize of the Minister of Culture and Arts in 1979 and 1987. He also received the Polish Composers’ Union Award (1984), the City of Kraków Award (1984), and the Alfred Jurzykowski Foundation’s Award (1991). In 2011 Bujarski received the Silver Gloria Artist medal from Poland’s Ministry of Culture and National Heritage. Since 1972 he has been on the faculty of Kraków Music Academy, also serving as Dean of Composition, Conducting and Music Theory during the years 1978-1986. Bujarski belongs to the generation of Polish avant-garde composers whose debut took place at the beginning of the 1950s, a time when many Polish composers radically changed their aesthetical views and compositional techniques. Bujarski’s musical explorations initially focused on sound material and its enrichment by the use of quarter-tones. His early creative period (Burning Bushes, Synchronies I and II, Zones, Chamber Composition, Kinoth) is characterized by sonoristic experiments and the propensity for an enlarged volume of sound through the use of amplifiers and electroacoustic sound projection. He also searched for unconventional means of articulation and avoided regular meters by using free notation. The oratorio El Hombre (1969-1973) for large symphony orchestra, mixed choir and soloists), to fragments of various texts ranging from psalms to contemporary English and French poetry, constitutes a climax of this early period in Bujarski’s music. Among the compositions written in later years two deserve particular attention: the cycle Similis Greco (I for orchestra; III, The Birth – for choir and orchestra), Concerto per archi (for violin and for cello), and the most popular of Bujarski’s works, Musica domestica. The composer explains the title as denoting the music of one’s home, of an ideal place in one’s home country. Bujarski’s talent finds its most perfect outlet in chamber music. Some impressive examples are his Three String Quartets and a cycle of pieces entitled The Fear of Birds. The expressive power of his music is often coupled with a simultaneous reduction and compression of compositional devices. Bujarski’s compositions fully engage critical faculties and attention of his listeners through their ambiguity and original formal designs which are not based on known models, and, therefore, are difficult to grasp. Yet, the music remains lively thanks to an inner movement of a continually changing musical texture, devoid of sharp outlines and rapid contrasts in dynamics. Bujarski’s style is characterized by an attention to detail and instrumental color; the latter trait should not be surprising for those who know that Bujarski is also a painter. The pieces constitute the composer’s very personal expression; they pose questions rather than make statements. The listener is the composer’s partner entering into a fascinating and sophisticated musical discourse.